For many hours they rode in silence, Luxor lost in his thoughts, the boy watching the forest in a mixture of fear and fascination. He had heard the tales men told and couldn’t quite believe they were only tales. “Why does the Solstice trouble you, my Lord?” asked the boy. When Mike Singleton originally developed The Lords of Midnight, he did so with his love of telling tales. After creating the initial Landscaping technique which made the game so revolutionary, he immediately switched to creating a map, one that he thought would be fun to explore, and then used that to help drive the narrative of the Novella, the back story included with the game. He populated the map with people, creatures, and places, assigning them names and purpose. Mike’s son Jules told me about sitting on his father’s knee watching and suggesting, while he played the god of Midnight and created new locations and terrain for his people to live in. 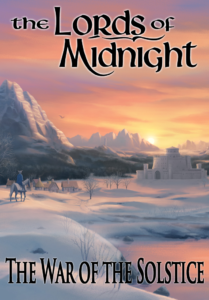 The story and the world of Midnight is so important to the game and one cannot be without the other. In just five small chapters, Mike filled our minds in a way that we were able to fill in the blanks while playing a game on what by todays standards, was nothing more than dishwasher controller. Mike once told me that he had hoped to to write a full novel, but game development and life just got in the way. He kept driving forward with new games and new stories, Doomdark’s Revenge, Midwinter, Ashes of Empire, to name but a few. All born out of his storytelling instinct. As players, we all remember the competition that launched with the game. A novel prize – print out the screens as you make your way through Midnight, and the first person to complete the game would have these screens turned into a novel by a fantasy author. Alas, the game was complete too quickly, and beyond was never able to fulfil it’s promise of the prize. Over the years and have read a few fan-fiction starts to novels, none of them every got past a few chapters, and none of them really had the potential to go all the way. I’ve also discussed the idea of a novel with one or two authors, who all showed interest, but never got off the drawing board. It is with all that in mind, that I am happy to announce that, the novelisation of The Lords of Midnight is finally underway. On the 8th April, Drew Wagar (@drewwagar) made a tweet comment to Tom Fahy (@fifthfayh) with reference to his Doomguard Twitter avatar. And that was it. We had an email conversation over the next few hours, and by the end of the weekend Drew’s publisher was on board, and I had an initial thumbs up from Mike’s family. I put a few ground rules in place and a few small hoops for Drew to jump through. Over the next few weeks we batted a few things back and forth to get a feel of the type of story Drew wanted to tell, and by the end of the month we met up to talk about the project, did some contract type stuff, and agreed, that this was something worth doing. 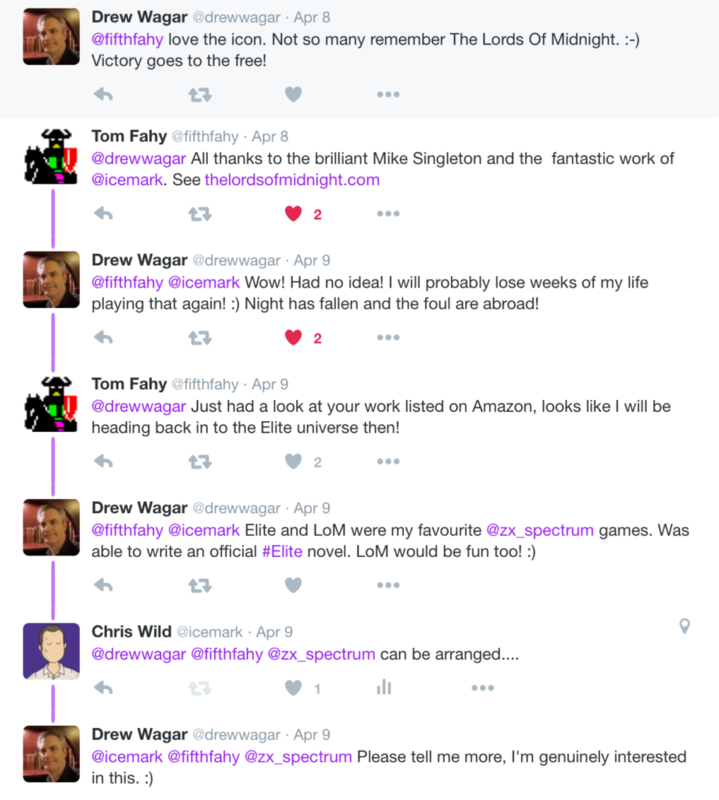 I’m not going to talk much more about the novel here, I will leave you with an interview with the author Drew Wagar. You will also be able to follow updates on this blog and on Drew’s blog over the next few months. I leave it there, other than to fill in the details.